Ok so an apple and peanut butter is a go-to for me. It’s sweet and salty and usually enough to hold me over. 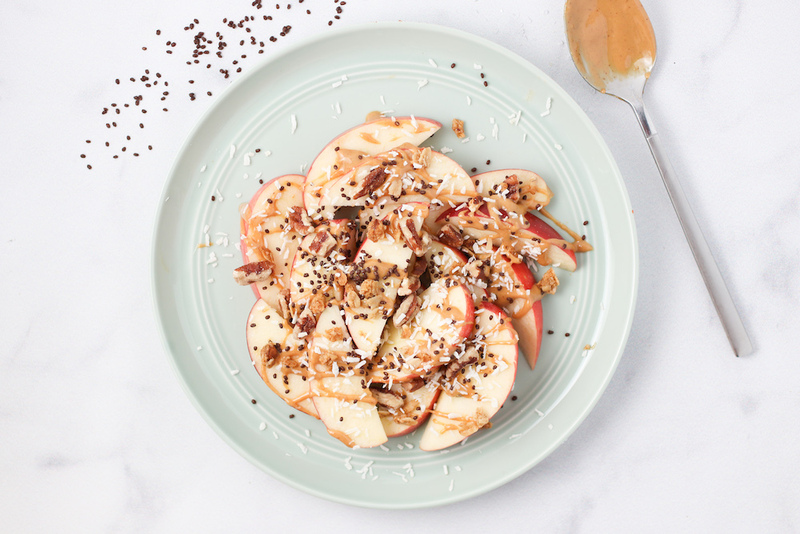 However, if I am pretty hungry I make these Healthy Apple Nachos! I started doing this because I wanted to drizzle the peanut butter on top instead of dipping the slices in (I was eating a TON of peanut butter). Then I just added whatever healthy toppings I had on hand! 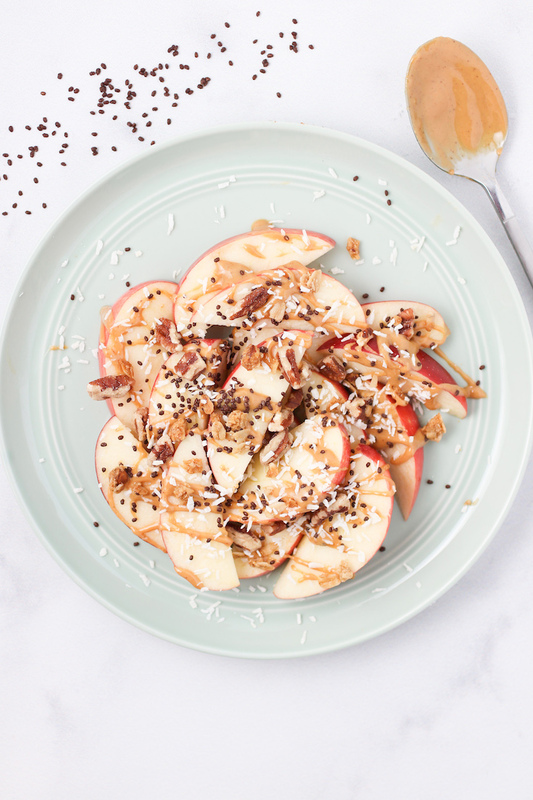 Here I sprinkled on dark chocolate chia seeds, coconut, chopped pecans and granola. It hit all the spots!